When visiting whisky bars and friends around the world, I like to bring a bottle to share, ideally something a bit different - something that won't have been tried before. 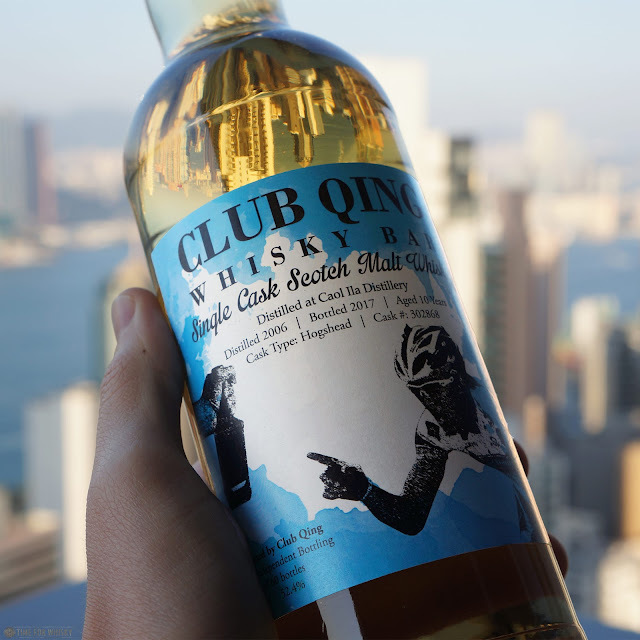 When your friends own bars that have over 1,000 bottles however, that can be a bit tricky, but I think I did OK on a recent trip to Sydney and Melbourne, by bringing two Caol Ilas, including this 10yo single cask, bottled for famed Hong Kong whisky bar Club Qing, and one of their awesome team Wu Kin San (a former olympic cyclist, in case you were wondering what the label was about). Nose: Not a huge departure from a regular 12yo Caol Ila. Ashy BBQ, salty peat smoke and hints of salted lemon. Palate: Super elegant. Rich, viscous and creamy. Lemon meringue pie with a toasted crust, topped with some stewed apricots. Complex beyond its years. Finish: Long, with stewed pears, apricots and a slight meatiness. Rating (on my very non-scientific scale): 90/100. A beautifully elegant Caol Ila, showing complexity and finesse beyond its years. Many thanks Jack for keeping a bottle aside for me! 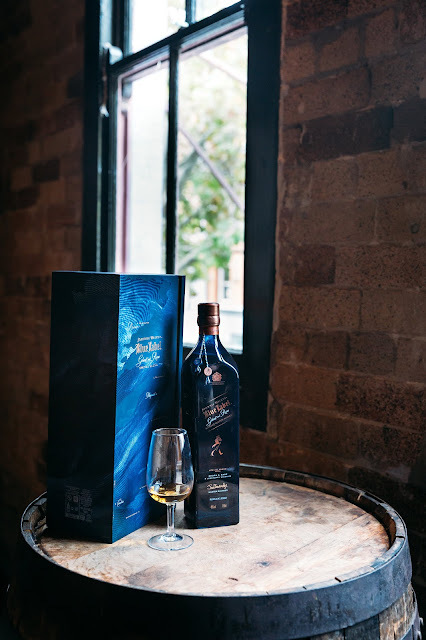 The house of Johnnie Walker has recently released a limited edition variant of its popular Blue Label; Johnnie Walker Blue Label Ghost & Rare. We had a snippet of this special release earlier with Simon McGoram, Diageo National Whisky Ambassador earlier this month. The Ghost and Rare is a series of special releases created by Dr Jim Beveridge, Johnnie Walker Master Blender using whiskies from "ghost" distilleries that have closed with other malt and grain whiskies. In fact, the Blue Label Ghost & Rare feature the highly treasured Brora malt as well as malt from Pittyvaich and Cambus grain. The Brora malt has remained treasured for its quality and its ability to hold its peat notes with age. Martin and I have tasted various Broras in the past and have always fallen in love with each one. So to have Brora feature in this release, it was rather special. A total of eight malts and grains make up this release and contrast to the original Blue Label for which input components are never revealed, this release includes confirmation on the components that make up the final blend. Clynelish, Royal Lochnagar, Glenkinchie, Glenlossie and Cameronbridge malt and grains were blended with the three "ghost" components above to make up the final blend. An interesting variation to the traditional Blue, the richness and earthiness add to the traditional profile which is more commonly known to be light, gentle and fruity. This particular release would certainly appeal to those with curiosity to unpack the 'rare' components that make up this blend or perhaps Brora fans out there that are wanting a different take of the single malt. Nose: Nice and rich, with caramel, nougat and hazelnut mixed. It's actually quite luscious. There are also hints of spiced oak and a level of earthiness. It's very interesting and rich for a blended nose. Palate: Spiced sweet cinnamon coated apple, earthy with a level of nuttiness, caramel and slightly waxy. The Blue Label Ghost & Rare will be available from Dan Murphy's and other selected independent liquor store from 5 March at an RRP $480. Thanks to Liz Hunt of Leo Burnett Sydney for having us at the preview event.